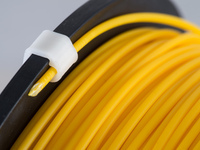 FlashForge Finder Simple Filament Reel Holder by TimmyTopHat is licensed under the Creative Commons - Public Domain Dedication license. A simple filament reel holder for the FlashForge Finder that requires no additional hardware to assemble. 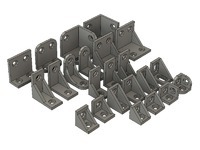 All parts can fit on a single build plate! It's a tight fit, but all the parts do fit together without the need for adhesive. 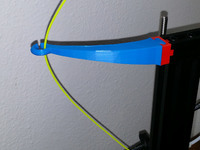 Use something solid to gently hammer the filament arm into the holes on the mounting hooks. Say thanks by giving TimmyTopHat a tip and help them continue to share amazing Things with the Thingiverse community. We're sure TimmyTopHat would love a Tip, but unfortunately they have not setup their accounts to receive them yet.